This truly has story has come full circle for Haron "H20" Hargrave in so many ways. A native of Queens, New York where he played at Campus Magnet High School before going on to Sacramento State University and competing professionally from the CBA, to Romania, Hungary, China, Dominican Republic, Colombia and Mexico, Hargrave has never forgotten where he came from. "To do this in Queens, it means the world. I wanted to take a negative and make it a positive. A lot of people want to change things and that requires action. 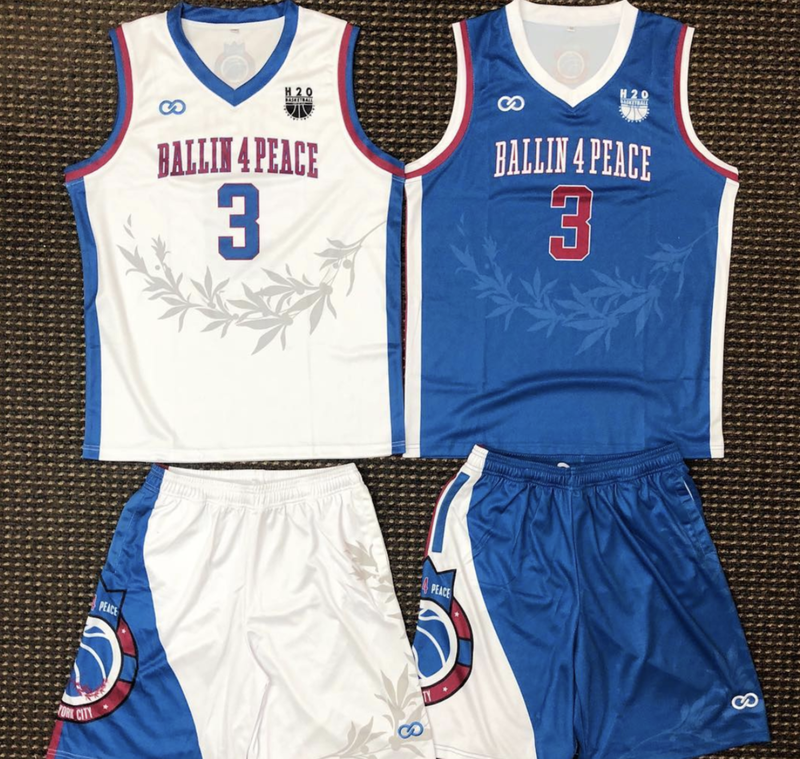 I took the step to help give back through sports and help those around me," Ballin' 4 Peace founder, Haron Hargrave told Wooter Apparel. It was the same place where gun violence claimed the life of one of his close childhood friends back in 2008 while Hargrave was studying and playing basketball at Sacramento State. That unforgettable moment and negative situation led the kid from Queens to think beyond himself and return with a plan to create a positive change. Ten years later, Hargrave remains highly active in New York raising gun violence awareness and giving back in Queens through his H20 Sports Foundation; honoring his late friend and keeping peace at the forefront of people's through the game of basketball. That drive to overcome and make a difference is a huge reason why Wooter Apparel was excited to become a sponsor partner (for the second straight year) for the 4th Annual BALLIN’ 4 PEACE CELEBRITY CHARITY BASKETBALL TOURNAMENT that included a game, dunk contest, and performances at the ELMCOR YOUTH & ADULT ACTIVITIES CENTER in Corona, Queens, N.Y., on a Saturday in late April. In addition to the charity game and festivities, a free youth clinic took place by the New York Junior Knicks featuring a youth game. "Presentation and having a sponsor partner like Wooter Apparel is super important. Wooter designed three different jerseys for us to choose from and then we left it up to our fans and followers on social media. It's been the second year working with Wooter and are so thankful for all they've done. The engagement has been tremendous and we're glad to keep Wooter's name out there whenever we can," Hargrave explained about teaming up with Wooter Apparel. "The event was great and keeps getting better each year. I'm really proud of the work we've done and how word has spread about what we are doing here. It's a good feeling when you are doing something right," Hargrave continued. "We've had support from local and media in the city, had players travel from California, fly in from around the country, just to be part of this. It's been amazing, powerful, positive...I'm trying to bring people to Queens, especially at Elmcor Youth And Adult Community Center." 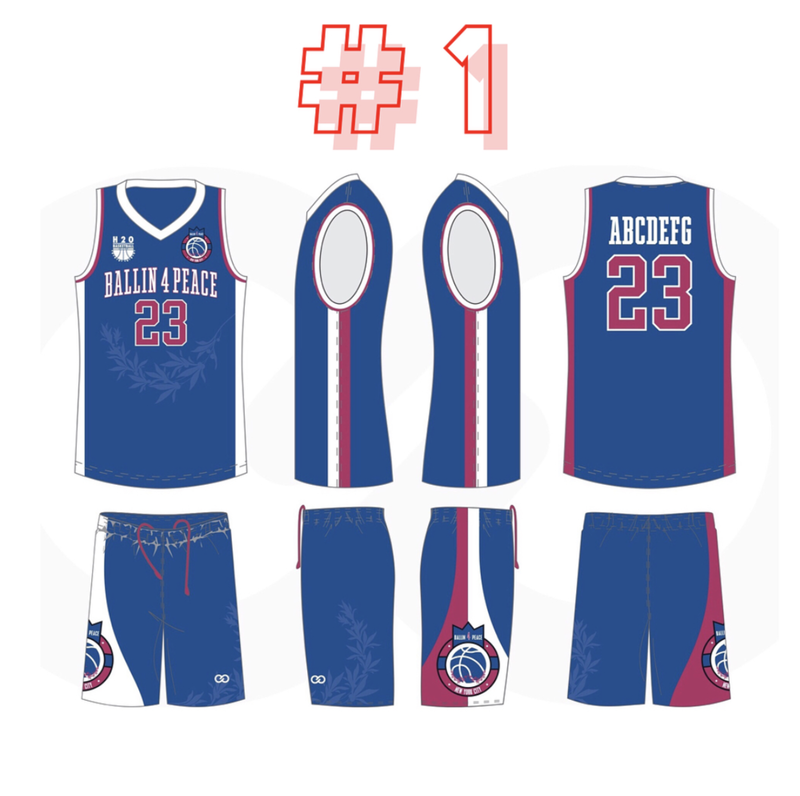 In addition to designing and customizing the blue, white, and red jerseys and uniforms with V-Neck, Wooter Apparel proudly joined fellow sponsor partners Palmer’s Cocoa Butter, Essentia Water, Junior Knicks, PEAK USA SPORTS, Silky Socks, Wooter Apparel, Nuts.com, Real Fans Real Talk and Urban Geekz NYC. 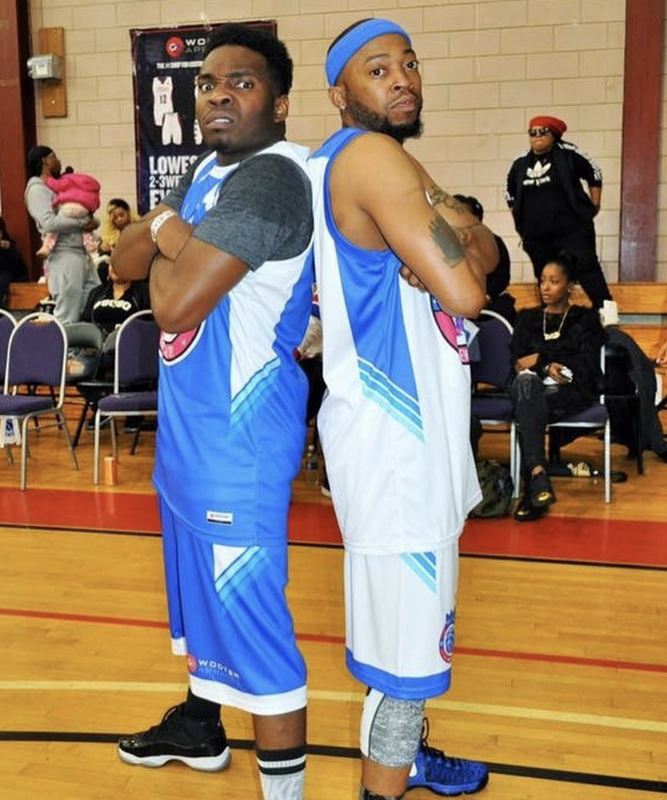 And while the day and game also featured local hip-hop artists and area radio personalities (2 Milly, Basketball Commentator Filayyyy, Power 105. 1 Engineer & Host of The Sitdown – EmEz, Pastor Carl Lentz, Shade 45 10.5 Countdown, Host Gray Rizzy, Instagram’s hilarious Mr. Commodore, Love & Hip Hop’s Kiyanne, Rap lyricist Grafh, Sean John Ambassador / Artist Jaquae) the real honor of the day went to Charles Coleman, the renowned youth basketball coach who has doubled as a mentor for inner-city youth for the past 30 years and with his Be A Community Educator (B.A.C.E.) program. Back To Back: Last year Wooter Apparel began teaming-up with Haron "H20" Hargrave and his community give-back event in Queens, New York by designing these classic red, white, and blue uniforms. Is there a three-peat in the future? Coleman was recognized for his community services by NYC council member, Francisco Moya, and helping teach the game of life to countless kids. One of those kids was back on the court that day too. For Haron Hargrave -- who grew up playing under Coleman and B.A.C.E. 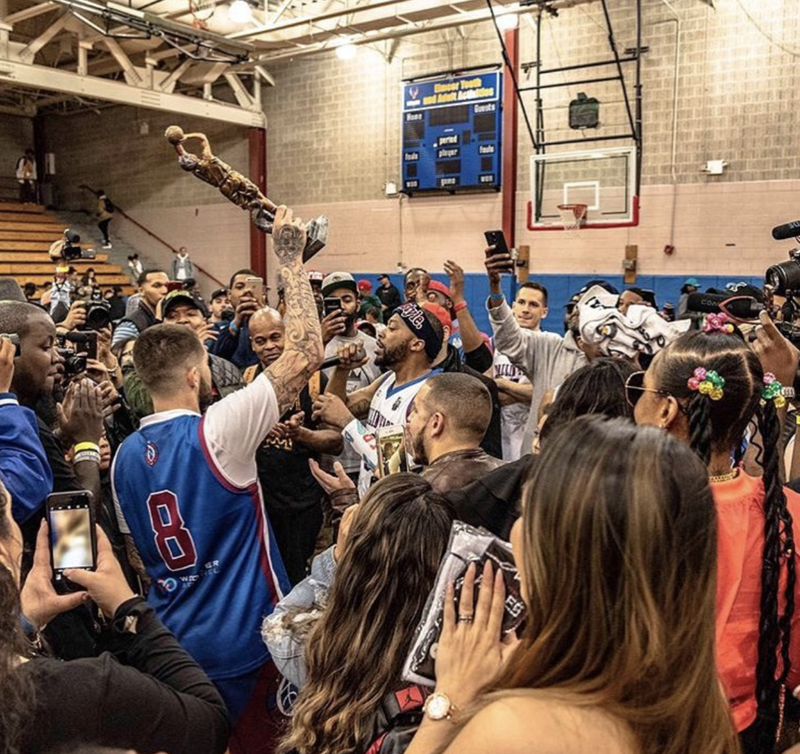 -- it was simply a moment that was well-deserved and solidified the chance to give back to a community that placed peace at the forefront of everyones mind in Queens. "We want to continue to get kids and the community involved. People have to want to come, so we want to also reward people in the community and honor them for giving back just like we are," Haron Hargrave said, as he also directs a flag football game and bowling event as part of Ballin' 4 Peace. "I can't wait to do this again and have people become a part of what we are doing. It's positive. It's powerful."